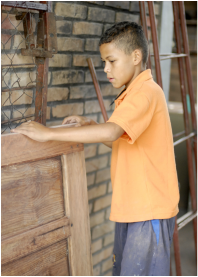 Established in 1994 in order to teach the children how to make basic works of carpentry. This includes everything from knowing how to make an object or wooden piece of furniture. At the end of 1997 we focused the formative orientation to produce completed furniture in order to favor the commercialization of the pieces, without neglecting the maintenance and works of repair in the Home.